The Nissan Maxima is a luxury sedan that’s making its way through Warwick, Providence, and Cranston. It’s powered by a healthy 300 horsepower 3.5-liter V6 engine and has safety features to complement its performance. 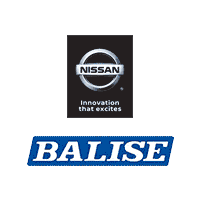 Stop by Balise Nissan of Warwick to test drive yours today. There’s no denying Nissan designed the Nissan Maxima as a stunning, show-stopping sedan. Its lowered, sculpted, and streamlined sweeping aerodynamic profile body will make heads turn. Added subtle touches include a dual-panel panoramic moonroof, LED headlights, an aggressive lowered stance and Dual chrome-tipped exhaust finishers. Designed with the driver in mind, appreciate the glory of a convenient Navigation System, Apple CarPlay™, and Android Auto™. These features take of the things you want to do with your compatible smartphone while driving and puts them right on the built-in display. Nissan aims to ensure that you’re driving with the highest level of security. Such available features like Intelligent Forward Collision Warning can help alert you to potential risks up ahead by monitoring distance of the car in front of you. Vehicle Dynamic Control with Traction Control System helps you maintain your steered path. 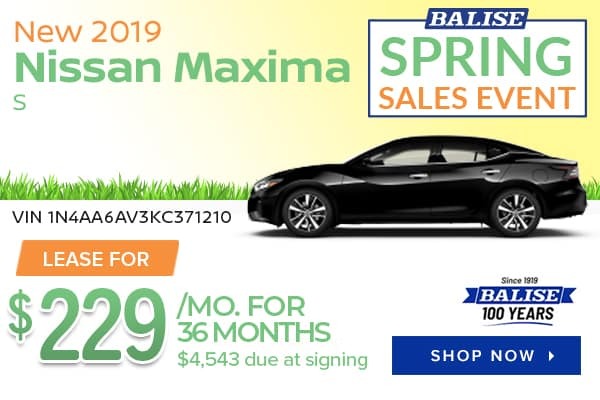 Visit Balise Nissan of Warwick if you’re near Pawtucket, Coventry, or North Attleborough to view the new Nissan Maxima. We offer a wide variety of new Nissan Maxima trim levels to choose from. Our Balise consultants will help you find the perfect Maxima trim level that best fits your lifestyle and driving needs. We look forward to meeting you soon.